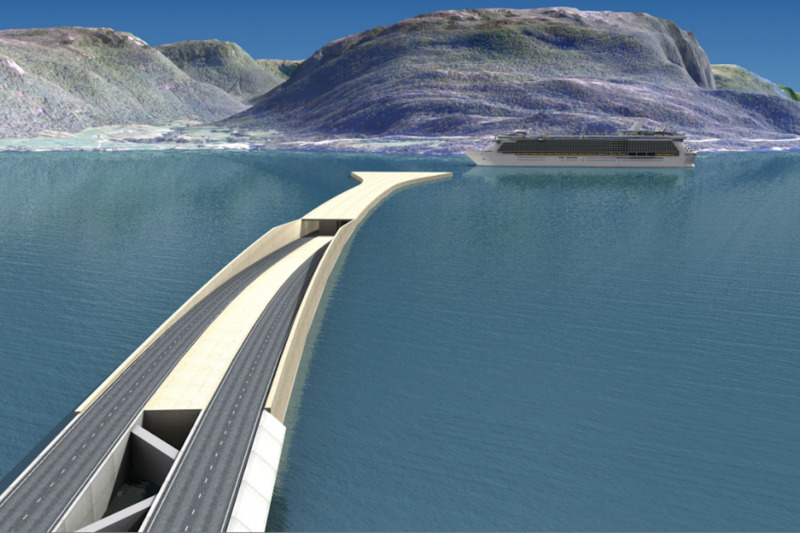 The Norwegian Public Roads Administration has proposed a series of options to link up the west coast of the country - including floating tunnels. 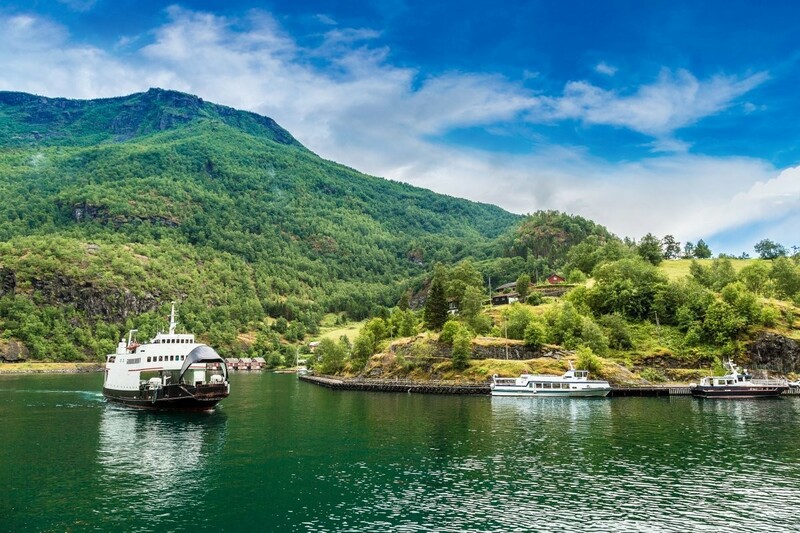 The west side of Norway is made up of 1,190 fjords, which, while beautiful, make it very hard to travel along the country's coastline. 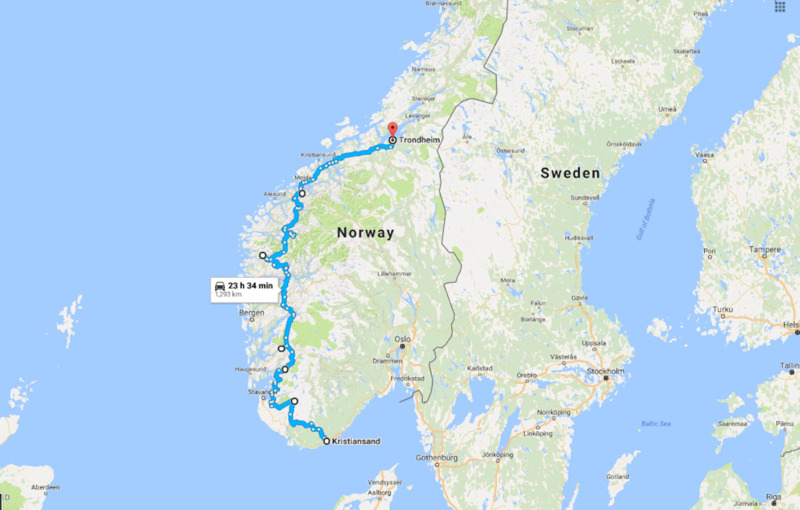 Currently, the drive from the southern city of Kristiansand to Trondheim in the north takes an excruciating 21 hours and requires seven ferry crossings. 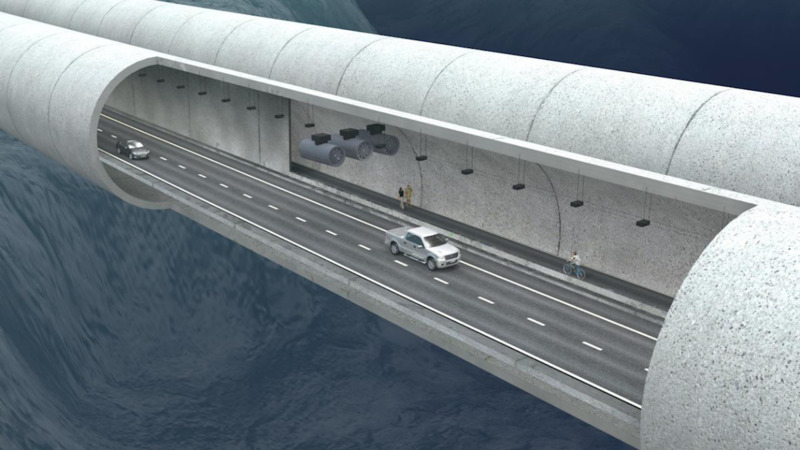 To make that drive easier, the Norwegian Public Roads Administration (NPRA) has proposed the world's first underwater floating tunnel, which would be submerged in the Norwegian Sea. It is predicted to cost $25 billion (around £19 million) to build,according to Wired. The tunnel is part of a series of proposed solutions for the Route E39 coastal highway devised by the NPRA. 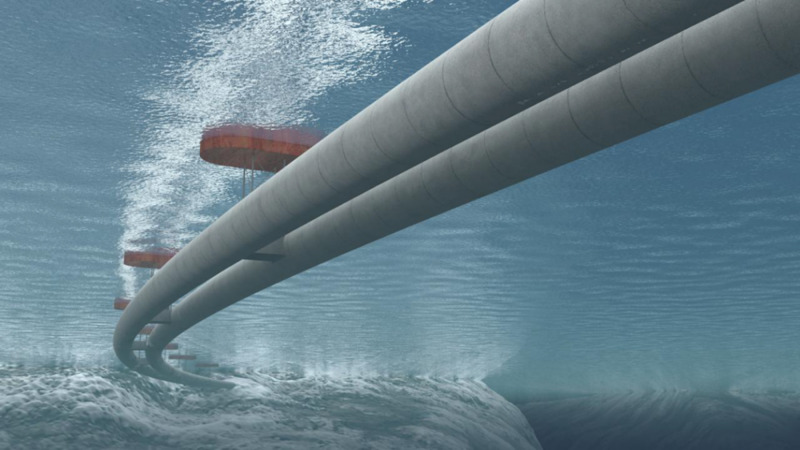 The floating underwater tunnel would consist of two 4,000-foot-long, curved concrete tubes, submerged 66 feet below the surface of the Norwegian Sea. No floating underwater tunnel like this has ever been built before. Underwater tunnels could be put in place across the fjords from Kristiansand in the south of Norway to Trondheim in north. 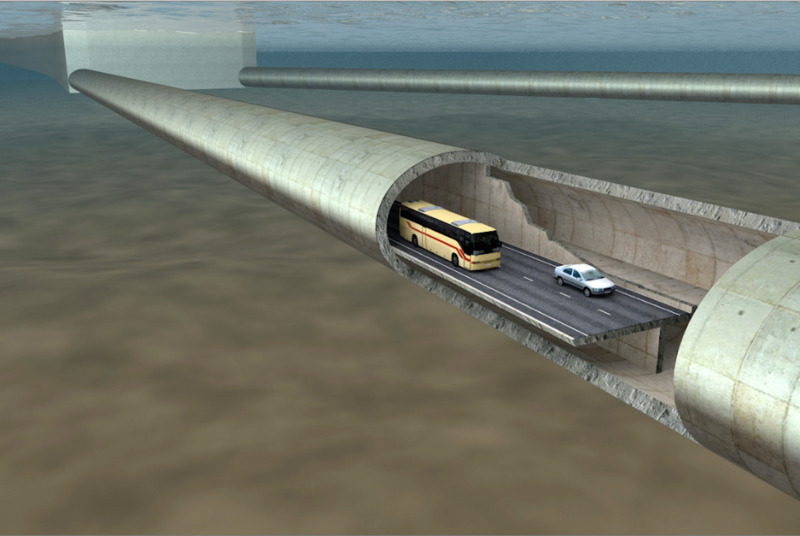 For motorists underwater, the experience would be similar to being in any other tunnel. The tunnels would enter the bedrock beneath the fjord on each side. 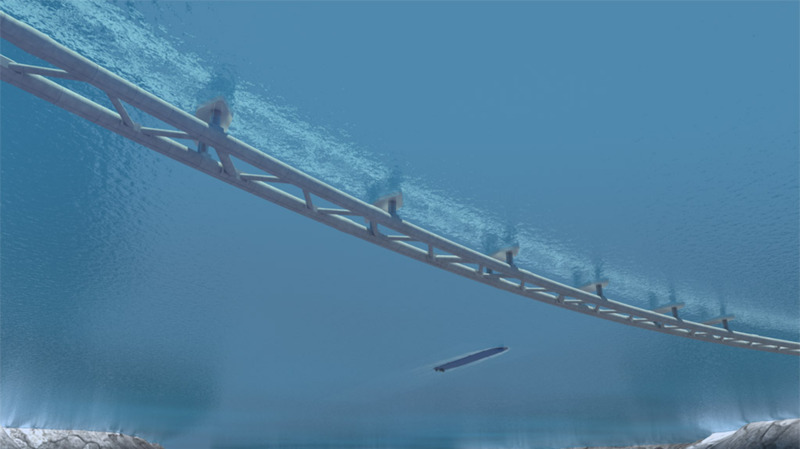 The submerged tubes would be steadied by being attached to pontoons on the surface of the sea. 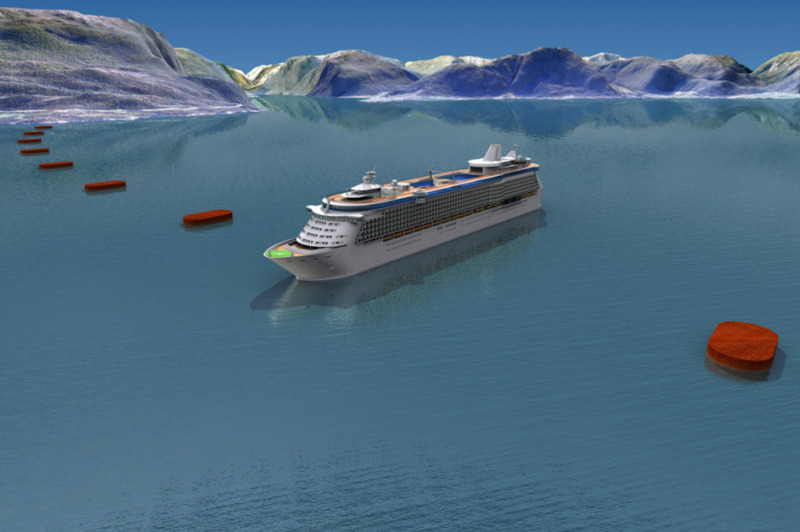 There would be wide gaps between the pontoons to allow ferries to pass through. 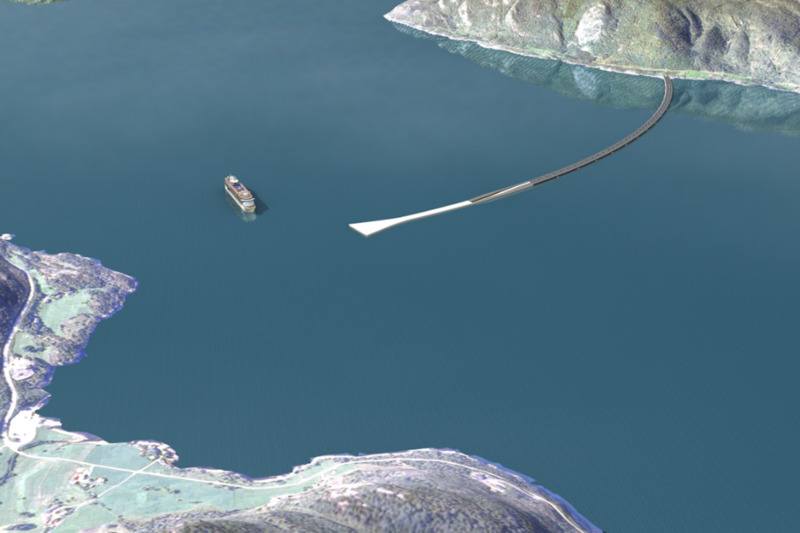 Another option suggested by the NPRA is to combine an underwater tunnel with a bridge. This solution is reminiscent of the Øresund which connects the Danish capital of Copenhagen to the Swedish capital of Malmö. 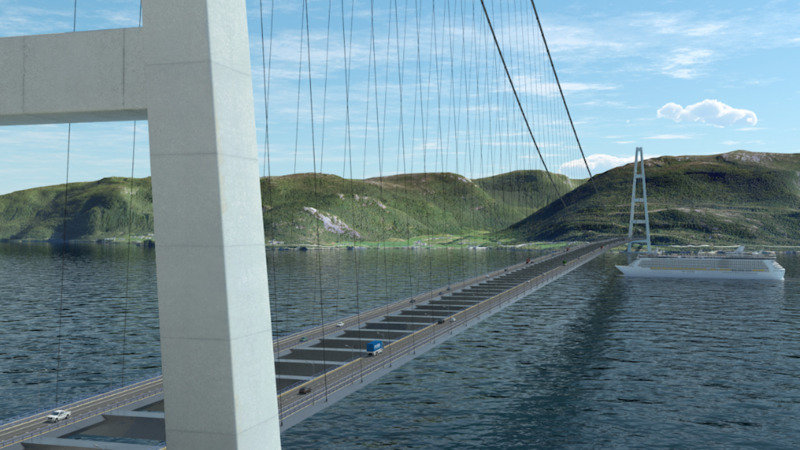 The NPRA is also considering creating a 12,139-foot-long suspension bridge, which would be three times the length of San Francisco's Golden Gate bridge and double the current world record for a bridge's length. The towers on each end of this world record-breaking suspension bridge would stand at 1,476 feet tall — 492 feet higher than the Eiffel Tower. 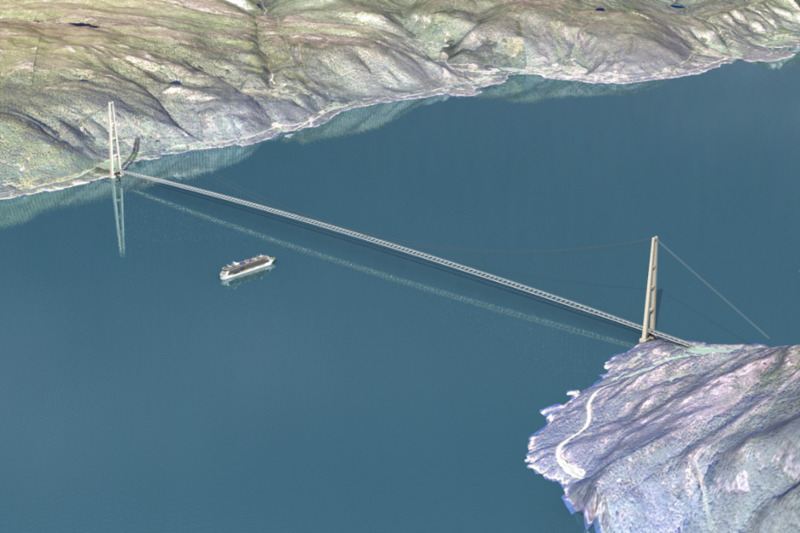 The first proposed crossing is for Sognefjord which links up Oppedal with Lavik. 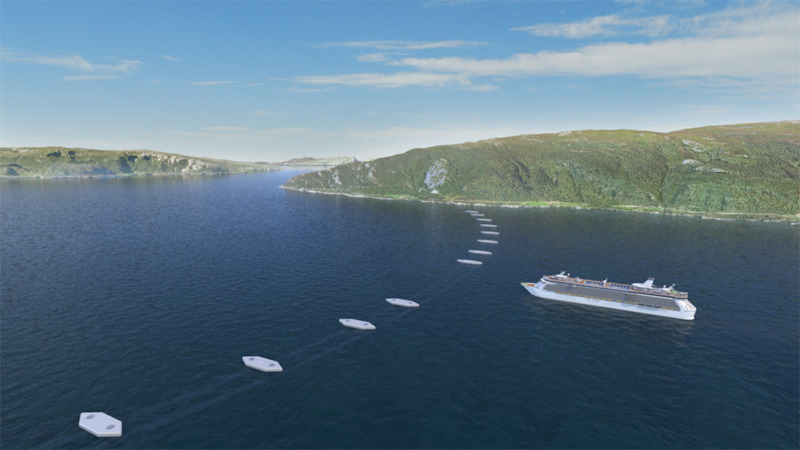 By 2035, the crossings are set to be installed between many of the country's fjords, according to Wired.